3-D raised relief map of all of Hawaii. Made of molded plastic and illustrates the volcanic islands...which one is the highest? 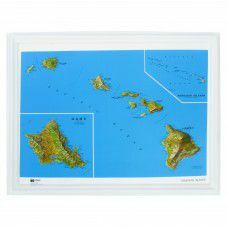 Available unframed or framed, makes a great wall map of Hawaii!